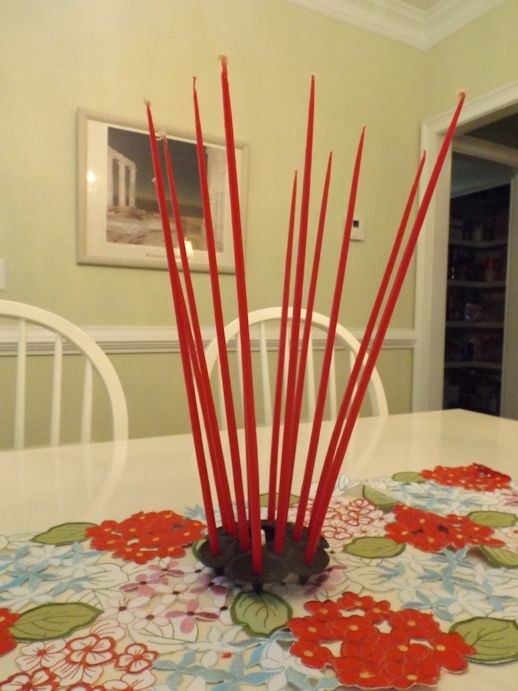 I have been enjoying some pops of red in my house this summer. Most of my home is decorated with cooler colors so seeing red around has been a cheerful addition. 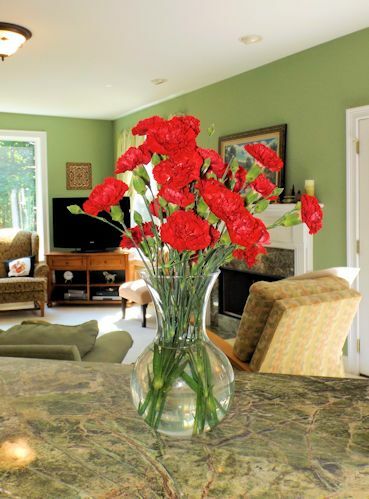 I put some red carnations on the kitchen counter. I like red carnations because I was born in “Carnation City.” The scarlet carnation is the city flower (and state flower of Ohio) because of political debates between Levi Lamborn, the grower of the red carnations, and soon-to-be president William McKinley when they were first running for a Congressional seat. Although political opponents, they were actually friends and Lamborn gave McKinley a red carnation to wear in his lapel before his appearances and debates. It became a signature for him as he moved successfully onward toward presidency. I used my dinosaur cookie tray for my kitchen table. I made it from the kids’ leftover toy dinosaurs from many, many years ago and two plastic serving pieces (89 cents each) from Target. 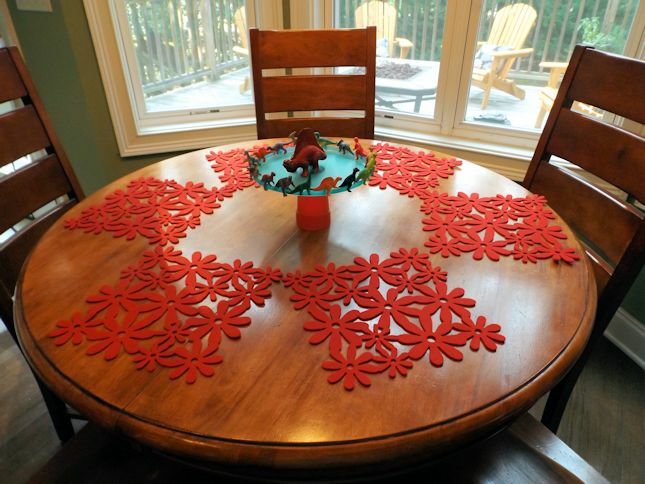 The placemats are felt and I got them from Kohl’s several years ago. 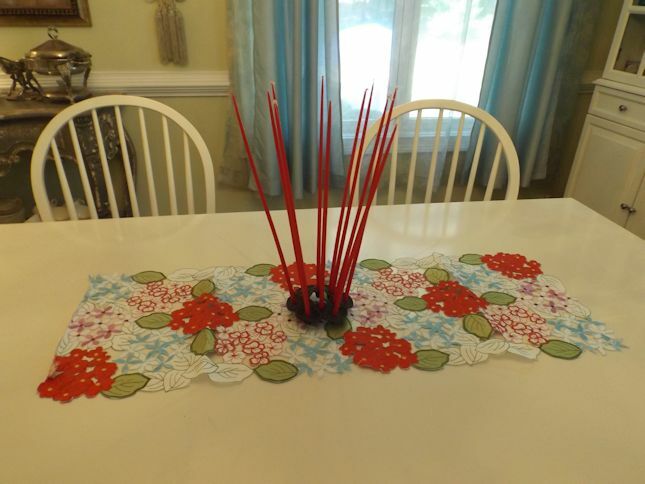 In my dining room I have a table runner also from Kohl’s from this year and a Dansk candle holder. I’m not sure I’m brave enough to burn the candles for fear of falling wax. My Sunday breakfast included one of the many vintage syrup dispensers I collect. 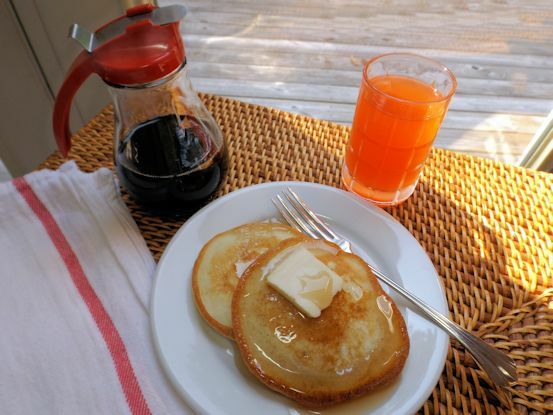 To me, they are a fun addition to a breakfast or brunch table and somewhat hard to find at thrift or antique shops. I’m heading to Rome to pick up Davis who is staying with Olivia for the weekend. 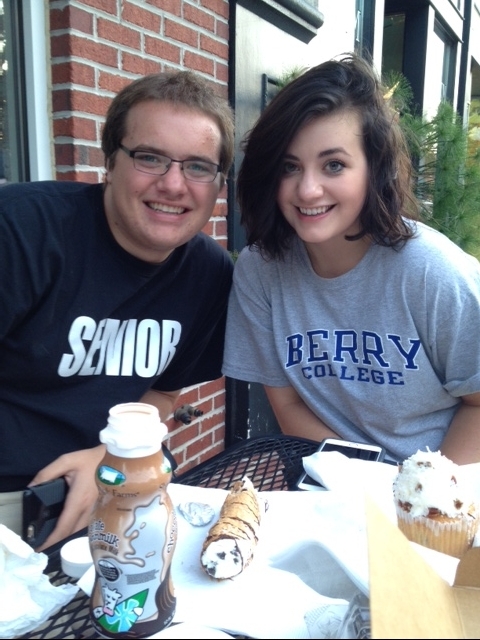 They are an adventurous pair when they are together. Always up for fun! Your Grandpa also worked at the greenhouse where the red carnation for state flower originated. 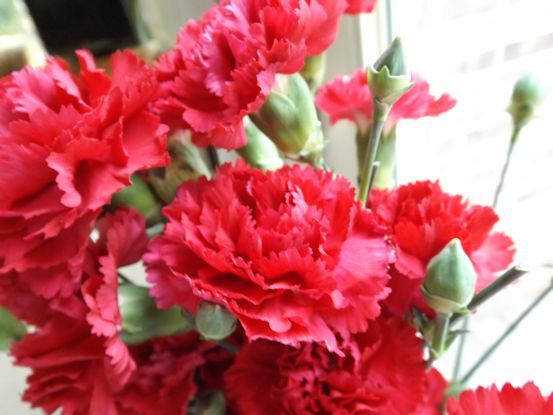 Olivia looks just like you, Julie and i love the red and the cooler colors of your home…the history lesson about carnations was a real plus-thank you (Jill Annette Davis-used-to-be-Collins-now-Thompson). Where do you teach?